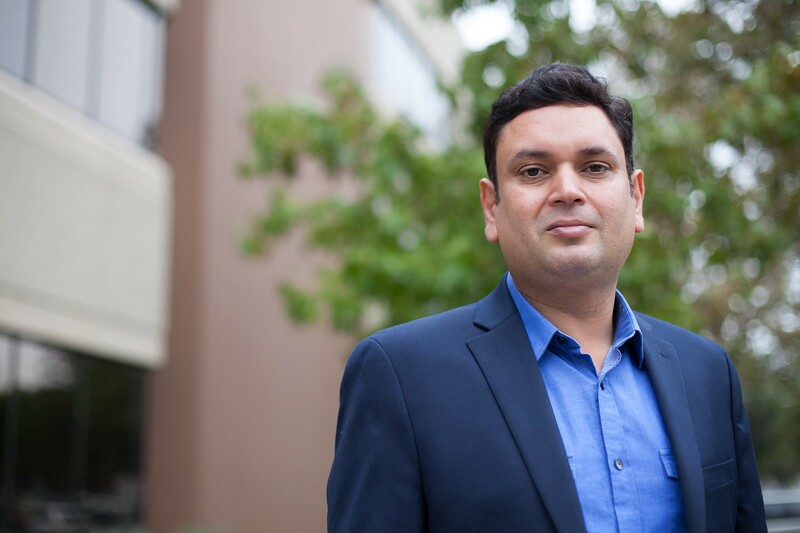 I had the pleasure of interviewing Neeraj Sharma. Neeraj is Founder and CEO of CrediBLL, an AI-Powered Job Search Marketplace for tech hiring. CrediBLL combines machine learning with human intelligence to shorten the hiring cycle and improve hiring experience. Additionally, the startup crowdsources Subject Matter Experts (who have their own full-time jobs and allocate a few hours) to vet and mentor job seekers and prepare them for interviews. CrediBLL uses natural language processing (NLP) to parse jobs and resumes. In addition, CrediBLL’s deep-learning algorithm matches applicants with job openings intelligently by identifying the client’s hiring patterns and preferences. The San Francisco Bay Area based startup is making recruitment easier for the thousands of tech startups looking to hire engineers by creating the pro-active talent pipeline of pre-vetted and active engineers. It’s an interesting story. I came to the United States in 2004 as a tech-worker and worked at various enterprises including Wells Fargo, PG&E etc in San Franciso. The city has such a vibrant culture and provides a complete ecosystem to entrepreneurs to live and thrive their dreams. We (my wife, Shikha and I) saw a big opportunity in tech servicing industry and founded our first startup which had grown into a multi-million dollar business. I met my co-founder, Varun Singh while working on an implementation project at Apple. We needed to ramp up the engineering team quickly but struggled to identify the engineers. Finding an engineer on a job board is similar to finding a needle in a haystack and engaging hiring recruitment agencies were inefficient and expensive. 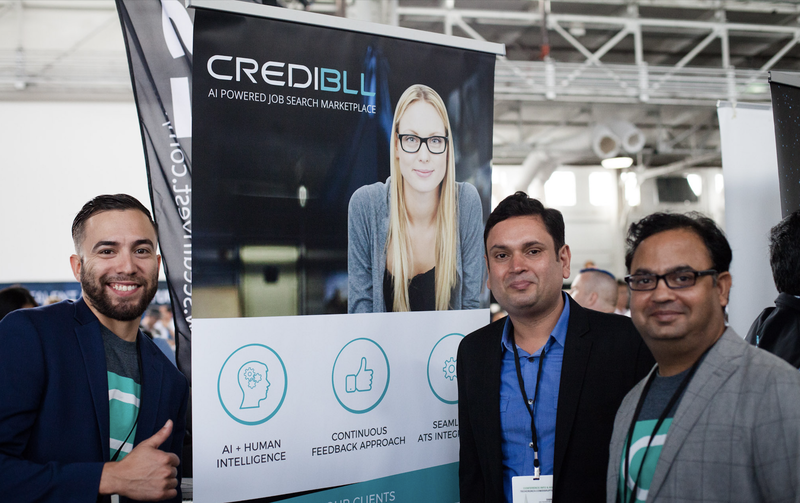 We saw an opportunity where AI would go-beyond matching keywords between resumes and jobs and ultimately founded CrediBLL. We went live with our job search marketplace on Sep 5, 2016, Labor Day weekend. The most interesting and encouraging part was signing up our first client, a hyper-growth Fintech startup, within the first week. I still remember I was sitting with Eric, Sr. Account Executive, in a conference room. Suddenly, this exciting new client registered and we were in business. We were thrilled and called it a day. It gives a great level of satisfaction when you see that there is a product market fit and demand for what your startup intends to disrupt. Our AI makes matching 10x faster and our SME model provides the necessary human touch needed in the recruitment cycle. There are several online skill assessment tools available today, however, CrediBLL’s Subject Matter Expert (SME) model is unique. Our SMEs identify the right fit for a role based on several factors including skills, profile strength, domain expertise, and intent before showcasing them in a batch to our clients. Crowdsourcing our SMEs which makes our model lean, and keeps our operation cost low. Ultimately, this helps us to the pricing model cost-effective for our customer. In an average, a client saves more than 50% when compared to our competitors. This is something I learned the hard way. It’s important to maintain a healthy work-life balance even when your startup is in stealth mode or in an early stage. Entrepreneurs can work long hours throughout the week but they should also save a day for themselves and their loved ones. At the minimum, you need a day in a month where you completely isolate yourself from your work. We worked almost 7 days a week for over a year and a half straight and didn’t spend enough time with my son and family. CrediBLL helps to remove unconscious bias in the hiring process as our machine learning algorithm intelligently matches applicants to jobs based on their profile strength. We are committed to improving the overall hiring process while bringing transparency about the offer details even before job seekers on our marketplace first speak with our clients. Be part of a movement you believe in and do your part to make a positive change. 1) Celebrate small victories, a big win will eventually come. Entrepreneurs want to win big early and we all want to scale the startup in no time. However, big wins come with time when you have understood and aligned your product as per your client’s needs and preferences. Product development and enrichment is a continuous process. A successful product offers a meaningful user experience and solves a real-world need for its users. A small solution which improves workflows and productivity will ultimately bring you a big win. 2) Learn from fellow entrepreneurs and listen to your critics. Learn and observe what’s working for your fellow entrepreneurs and see how you can implement some of their successful strategies in your startup. I believe your critics are your best friends. They strengthen and force you to take on a bigger challenge. 3) Be prepared to fail and learn from your mistakes. It’s fine to fail and learn from the mistakes you have made. Startup founders do make mistakes and they learn from the mistakes. 4) Commit and follow your heart. Entrepreneurship is an unconventional path that an individual takes and it requires passion, hard work, and sacrifices. If you believe in something then commit to it and follow your heart. It’s easy to give up when things are not working the way you envisioned but remember the success will come to you if there is a product and market fit and there is a demand for what your building. 5) Don’t get discouraged with VC’s rejections. Startup funding scenario is changing. It’s becoming more challenging for the first-time entrepreneur to get funded simply on an idea or with a product MVP unless you are an IVY league pass out. Lately, institutional investors like to see greater traction in terms of revenue and user acquisition. Bootstrap your startup and take it to a certain level before considering raising funds from an institutional VC firm. Entrepreneurs should look for alternatives and consider raising funds on a Crowdfunding platform such as SeedInvest.